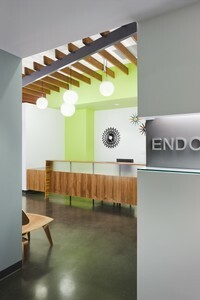 Thank you for selecting Endodontics of Denver. 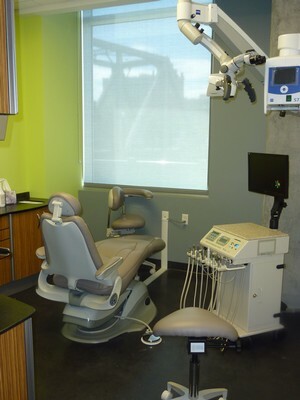 We are an endodontic specialty practice dedicated to exceptional care using state-of-the-art technology. We will take the time to listen to your needs and make this a pleasant experience for you. Our office is committed to excellence. We use the latest technology including the surgical operating microscope which offers increased magnification and illumination for all procedures. Whether we are evaluating the outside surface of a tooth for a crack, locating microscopic openings to root canals, removing a separated file from a root canal, ensuring the canals are thoroughly cleaned, or filling the root canal systems, the microscope benefits treatment. Even the smallest detail is brought clearly into view. We also replaced conventional dental radiographs with digital radiography. This advancement significantly reduces radiation exposure to our patients and eliminates the hazardous by-products of film developing. Always on the forefront of technological innovation, we utilize digital record keeping and use the internet for the convenience of our patients and referring doctors. You can even pre-register at this web site to save you time when you come to our office for your appointment. It is simple to use. Please call our office for your log in instructions.